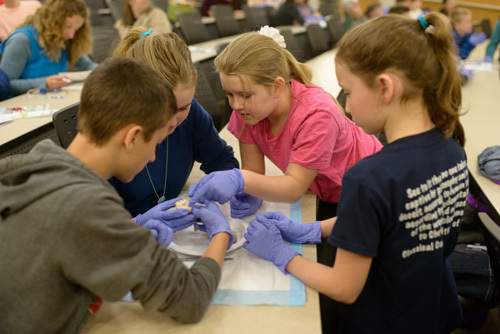 total of $3,026,420.19 raised in support of Children’s Miracle Network Hospitals at the UF Health Shands Children’s Hospital. 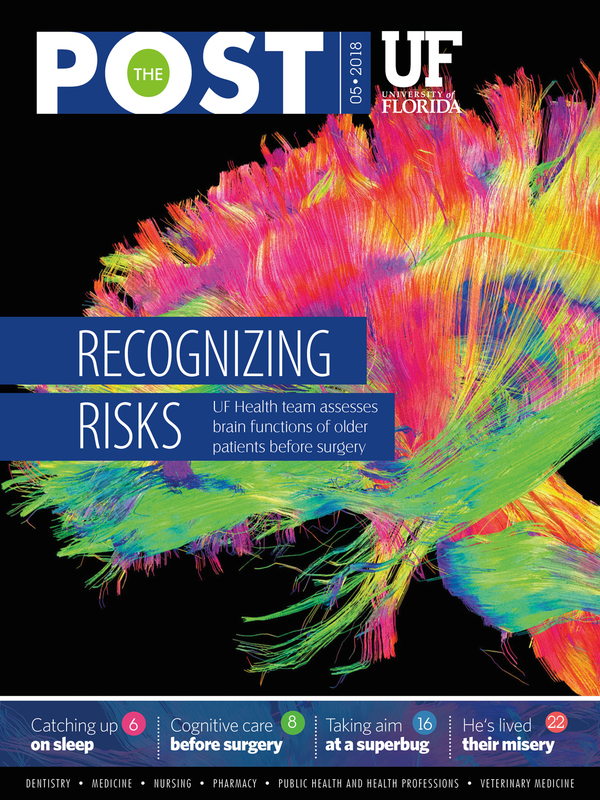 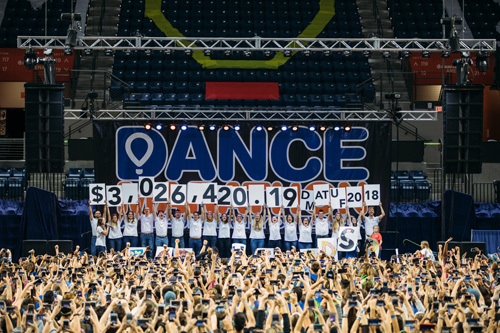 Since 1995, Dance Marathon at UF has donated more than $15.2 million to the hospital. 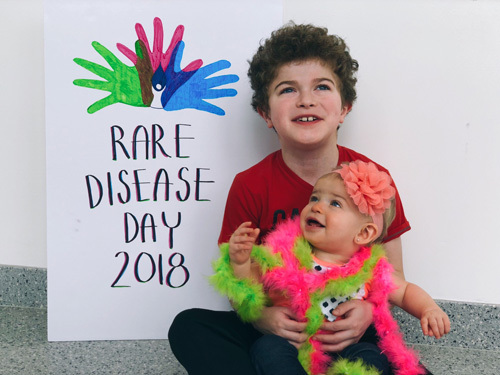 Kingston and Ariyah Orvis, of Manitoba, Canada, traveled to the UF Clinical and Translational Research Building to help faculty, staff and students celebrate Rare Disease Day.